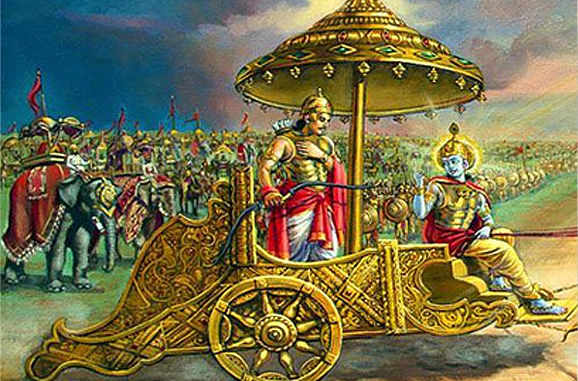 The Bhagavad Gita, a part of the colossal Hindu epic Mahabharata, is a dialog between Lord Krishna and the Pandava prince Arjun, unfolding in a timeless moment on the Kurukshetra battlefield at the start of the war between dharma and adharm. It reveals and exemplifies the foundation of some of the core beliefs in Hinduism. It is the essence of the deepest levels of spiritual knowledge and has had a very significant global influence, far beyond the reaches of the religious aspect of Hinduism. 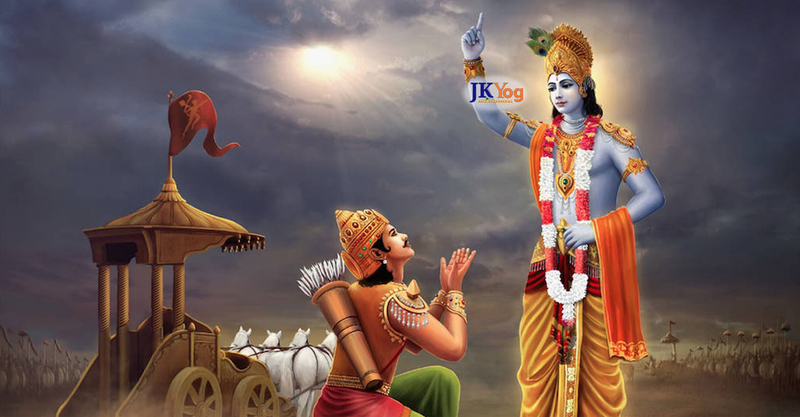 The name Bhagavad Gita means “the song of the Lord”. BG 6.46: A yogi is superior to the tapasvī (ascetic), superior to the jñānī (a person of learning), and even superior to the karmī (ritualistic performer). Therefore, O Arjun, strive to be a yogi. Sign up to join the Bhagavad Gita Study Group and join the discussion through Teleconference from the comfort of your home! Completely FREE!! Discussions will be based on "Bhagavad Gita, The Song of God - Commentary by Swami Mukundananda"
The primary language for the study group will be English. Bhagavad Gita Study Group will be held twice a month by teleconference. Duration of each class will be 1 hr and 15 min. Watch Swami Mukundananda ji’s profound lectures in English and Hindi on Bhagavad Gita! In this series, Swami Mukundananda reveals the original meanings of the Bhagavad Gita Quotes, Shlokas [Chapter 7, Gyan Vigyan Yog, Yog through the Realization of Divine Knowledge] with crystal clear explanations and perfect logic. Bhagavad Gita is one of the most revered scriptures. In order to possess your own copy of this sacred book please visit to get your personal copy.